Record Songs: Spotify is our favourite Music App! With over 30 million songs, the Swedish streaming music service Spotify has taken the world by storm. It has both free (ad supported) and premium (paid) streaming services. It is definitely our favourite music service so if you haven't checked it out yet we highly recommend it. 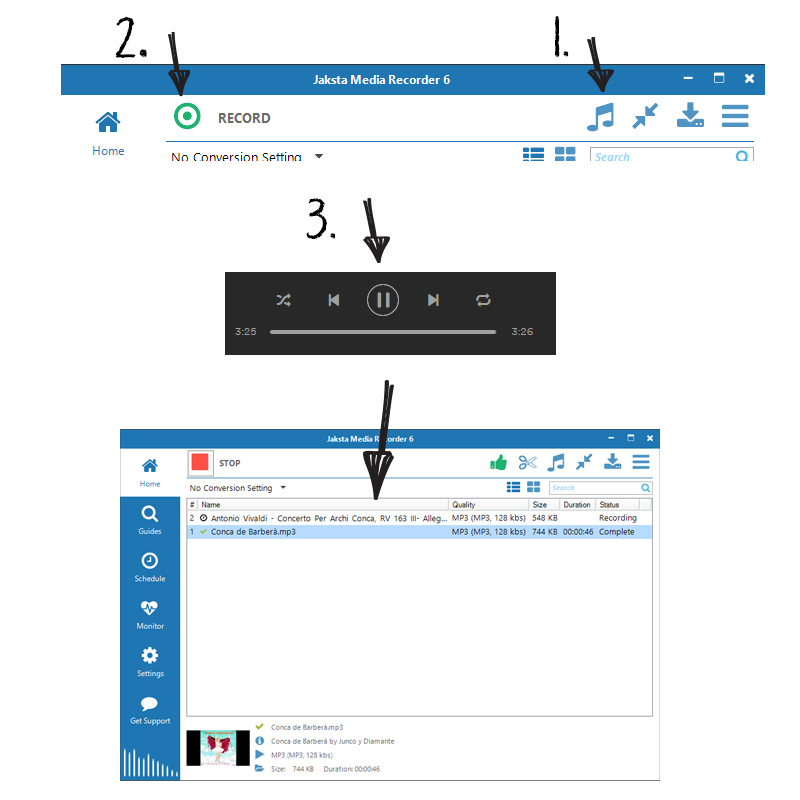 Due to the encryption of Spotify streams, it is not possible to download directly from the service, however using either Jaksta Media Recorder's or Jaksta Music Recorder's unique Application Recording feature it is possible to record perfect reproductions directly from your computer's audio subsystem to your audio format of choice. This method of audio capture ensures only the music is recorded - other sounds your computer may make are not - and you can continue to use your computer. Both Jaksta Media Recorder and Jaksta Music Recorder also contain unique audio fingerprinting and tagging features that ensure your recordings are named and tagged with information such as title, album, artist, artwork and lyrics. 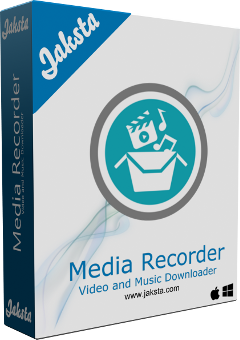 Firstly you will need to download and install either Jaksta Music Recorder or Jaksta Media Recorder. Start to Play a song in Spotify and it will be recorded and tagging happens once the song is finished recording. The steps to record using Jaksta Music Recorder are the same except the application is already in Audio Recording mode. Audio Application Recording requires secure boot to be switched off on Windows 8.1 and above computers. If you can't switch off secure boot then you will need to use Stereo Mix (or what you hear) recording. Set the gain (or amplification factor) to be applied to the recorded audio before it is written to the file. This setting is on the Settings > Audio Recording tab. Turn on Peek Normalization which sets the gain of the recorded audio so that the highest sample is set to 0 dBFS. This setting is on the Settings > Audio Recording tab. Audio is split into tracks using silence detection. Adjust what silence is by changing the silence time and level on the Settings > Audio Recording tab. You can also specify whether to ignore or record silence. Automatically delete tracks under a certain duration. 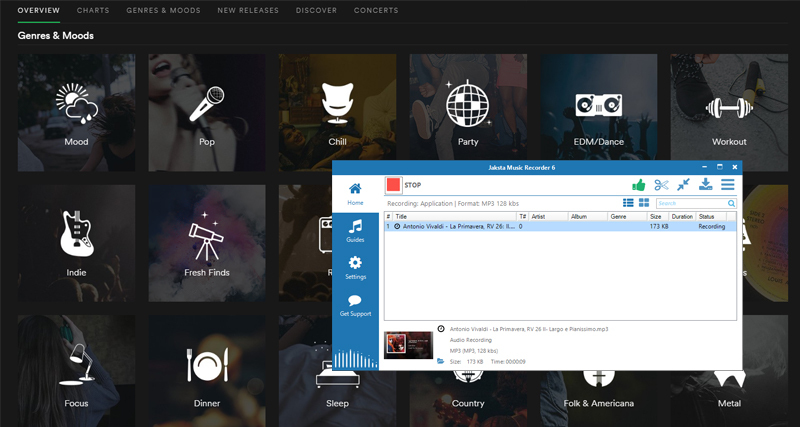 This is great for automatically removing ads from your Spotify recordings. This setting is on the Settings > Audio Recording tab.